Moving Home and need Safe Store for personal household goods or just need to free space at home? Elephant Removals' Storage Service London can safely store anything from a single household item to a full house content. If needs be, we can come to your home to understand the scope of your move. Our safe and secure store unit rooms are perfect and can cater for all storage types of storing requirements. Should you need any further assistance, we can even supply packaging materials kit or full packing service to be stored professionally. Our complete storage solution is safe and secure in a lock and leave Storage units with 24/7 CCTV and lit parking spaces. The best way to keep your household, offices, garages and loft clean and tidy at all times is to hire a trusted Household Storage Service London. You can literally store anything from a single box to books, garden or garage items, any extra furniture you may want to keep but not to get rid of, electronic goods to entire house and even contents from other addresses or places. Access to your items is easily available with a reasonable notice. You can add more items to your current storage and remove as many times as you like. Store Domestic Goods in a London's Safe Storage Environment. Our professional Storage Service in London is safe and secure, it is monitored 24 hours. The self storage Units are temperature controlled to insure your items are not in damp condition and free from pest. Elephant Removals' Storage are clean and tidy, not many contract papers to sign before or after, no photos are required either. 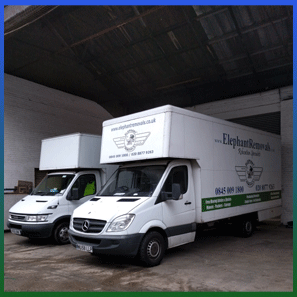 At Elephant Removals we offer wide range of storage services at competitive rates to suite your needs. Whether your requirement is to store a single item or for full household contents, this can be arranged in an organised manner. You have the option to store for short period or for as long as you like. You have the power over your goods to have them delivered whenever wherever you wish with advance notice. We are exceptionally delighted to offer storage to students, professionals and families. 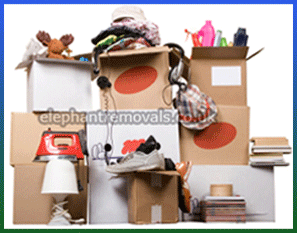 Elephant Removals have extensive experience of removals covering small to large projects. Our experts will work closely with you to understand your unique needs. Get Moving Quote with Household Storage Service London and Book your Move! Apply online for free affordable House Removal and Storage Company London quotes for your Property. For further information, get in touch with us either by phone, e-Mail, Contact Us form or talk to us Online using our Live Chat Support software via our Website. Apply Online for Free no obligation storage quotation and let us handle all your removals storage needs. Read our Storage Service Reviews directly from genuine customers as a direct feedback!